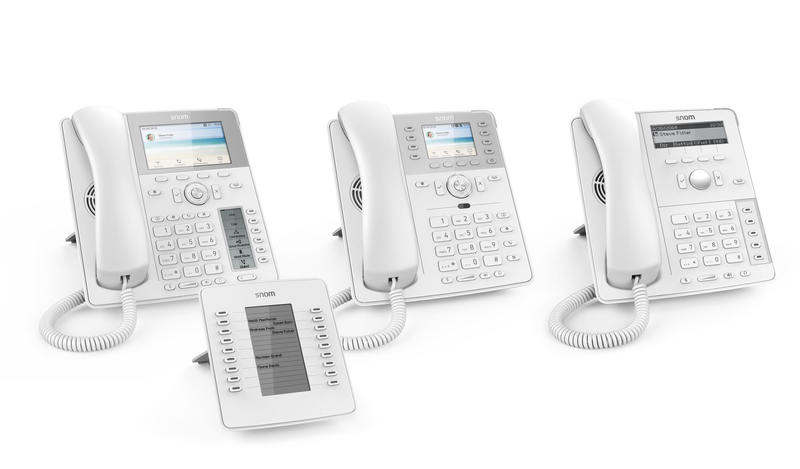 Berlin – Snom, the Berlin-based specialist in IP telecommunications, presents its cutting edge D785, D735 and D715 IP desk phones in black and now also in white. Their sleek appearance makes them a highly attractive addition to any work environment where design-consciousness is a priority. The professional D7xx series IP desk phones are high-performance devices that feature the best in wideband HD to deliver crystal-clear sound. An extensive array of functions makes them highly productive tools in the most demanding business environments. The white models add an extra touch of elegance to an already aesthetically appealing series. Top of the line is the Snom D785, which boasts two displays: a main display with a large high-resolution colour screen and a secondary display that makes dynamic contact management a breeze. The phone also provides Bluetooth connectivity, 24 configurable self-labelling one-touch multicolour LED keys and a USB port. Its integrated Digital Signal Processor ensures unprecedented HD audio quality. The Snom D735 is also equipped with a high-resolution colour display but its highlight is the sensor that detects when a user’s hand is near the phone and automatically activates the menu functions. When idle, the screen displays user-defined images and information such as company logo, time, identity etc. 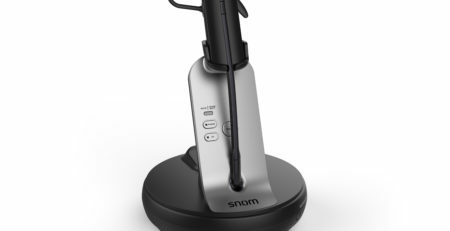 Featuring a four-line black and white display, four context-sensitive and five programmable keys with built-in LEDs for visual call indication, the Snom D715 provides high-speed connectivity. It is also equipped with an integrated Gigabit switch and a USB port. The Snom D7 expansion module especially caters for users with high call coverage. It provides an extra 18 programmable multi-colour LED function keys and a high-resolution display. 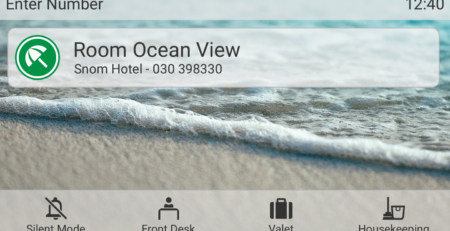 Speed dial, busy line and presence indication are some of its many useful functions. As all the phones above come with a USB port, the D7 can be plugged into any of them. Architects, designers, doctors in medical practices or hospitals or anyone wanting to make a design statement and benefit from a versatile and highly-efficient desk phone – need look no further than one of the white models from the Snom D7xx Series. Visit www.snom.com to find out more about Snom Technology GmbH. Visit www.vtech.com to find out more about VTech.